This plaque is dedicated to the early German immigrants who came to the Middleton area between 1840 and 1850 and chose this site for a church. A log church was built just north of this structure in 1854. 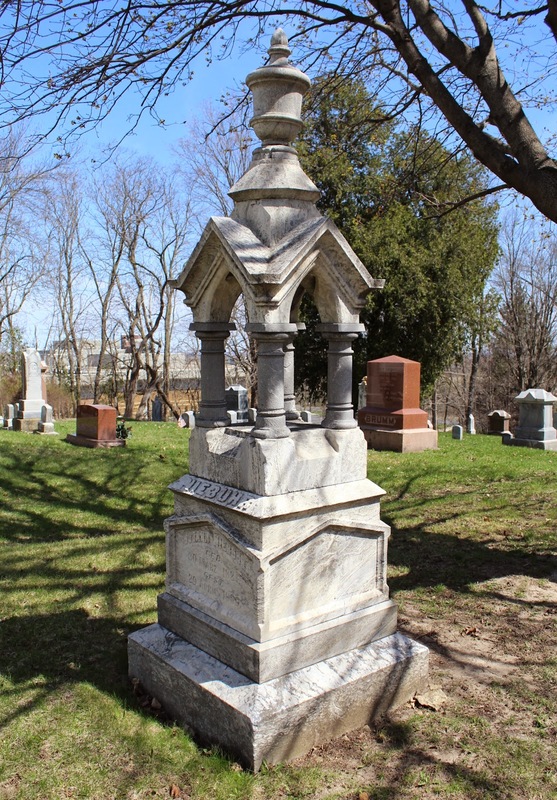 It soon proved inadequate and a second church was erected at this location in 1866. It was complete with sawn lumber, a steeple and bell and served until 1884 when an addition was made including a new steeple and bell. This plaque commemorates the present edifice which served its congregation until 1947 when regular services were discontinued and the congregation dissolved. 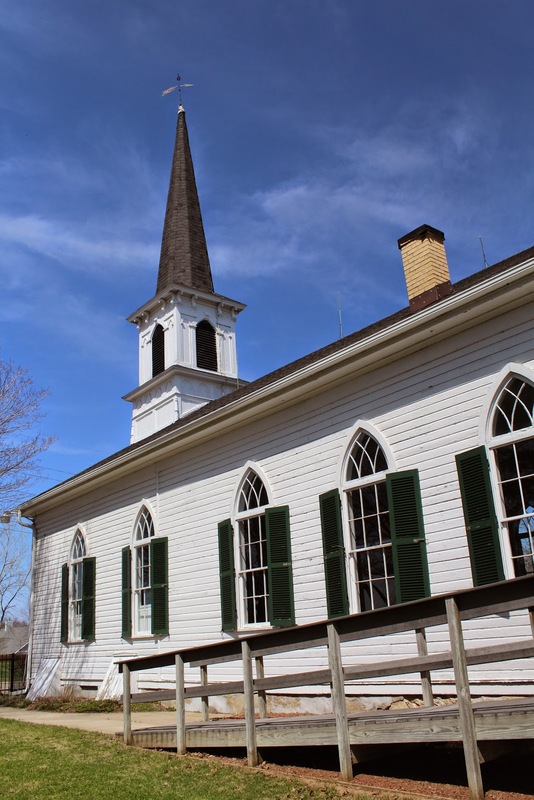 The building is being preserved and a memorial service is held annually to perpetuate the memory of the religious faith of the early settlers who started "The Big Church on the Hill". See also, First Lutheran Church, also at this location. So delighted to see First Lutheran Church featured here! Lovely photos! Thank you, Diana -- all the best with your restoration campaign!